Boyds, MD (August 29, 2017) – Washington Spirit forward Arielle Ship will miss the remainder of the NWSL season after suffering a torn right ACL in the second half of Saturday’s home game against the Chicago Red Stars. The rookie out of the University of California – Berkeley started and played the first 67 minutes against Chicago before a collision along the sideline forced her out of the game. Ship appeared in 14 games, including nine starts, during her rookie season while compiling 688 total minutes. 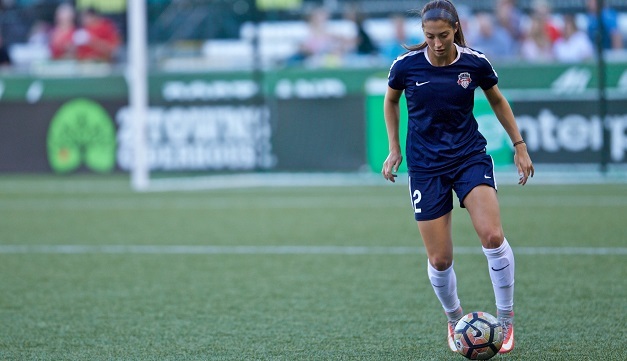 She scored a goal and recorded two assists on August 4 in a 4-1 road win over Sky Blue FC, earning her NWSL Player of the Week honors for Week 15.